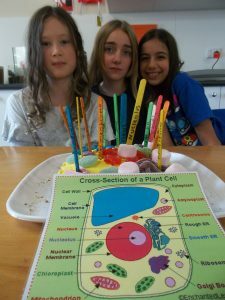 A group of Year 5 Cooroowal students have been researching plant and animal cells. They have looked at cells with the naked eye, with a magnifying glass and under the microscope. They have compared plant and animal cells and looked at their structure, naming the organelles. 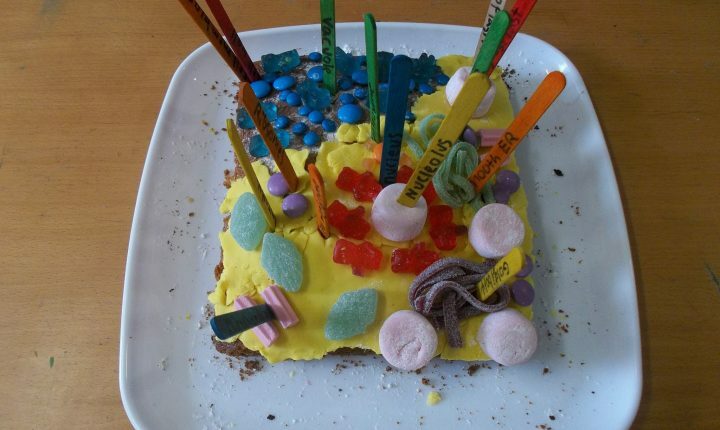 As part of their follow up work they made a cake representing a plant cell and labelled the parts.